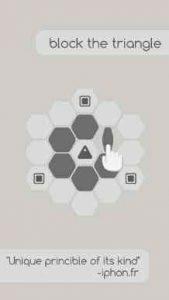 Hexa Turn is a turn-based puzzle game with minimalist design. Challenge your brain to solve this clever puzzle experience. You will strategically turn hexagons to block triangle’s way to the squares. Free your mind by solving hex puzzles with this new indie game. Solve this cool new rewarding experience that packed the room of 4 packages. Lock the greedy ai so it won’t reach the square. Get ready to brain teaser challenges to test your blck logic skills. This discrete thinking serves you fun hex blok puzle experience at its finest. Fun puzzle game that makes you think, it’s relaxing. It has minimal ads that are removed for cheap + extra content. One thing is that I wish it had a dark mode! Gives me a puzzle that requires an extra move to solve on the same level that is says all puzzles can be solved without extra moves. I cannot find this puzzle solution anywhere online because all the videos are of a previous version of puzzle 1.7. This GAME!…. True, I spend a wee bit to much time playing (mostly puzzles) on my mobile. But Now!? Oh boy! My family will be eating a LOT of pizza for while! I almost NEVER find a “new” game to be more than a graphic upgrade from its older, yet classic, siblings. But THIS GAME! 10 stinkin lvls in & I’ve been surprised, stumped, frustrated, victorious & (hehe) shamed by my kids for the high volumes I shared my feelings! A BRILLIANT & simple combo of Puzzle & Strategy. But, Hey! A lil color plz? At first, it appeared to be a generic puzzle game but turns out to be an interesting concept of a simplistic tower defense game. I love it. is it just me or are some lvls just impossible to solve? Some levels are maybe little tricky, but all levels are possible. Great game, but the behaviour of distractors is buggy as all hell. I can reproduce with 100% repeatability different distractor behaviour for the same board state depending solely on whether or not the back button has been pressed. Tricky clever triangles!! Excellent – completed all levels twice now, more please!! Gameplay is lovely and simple to understand. Very easy to get started but gets difficult quickly. My only gripe is the graphics are almost too bland. If the plain graphics don’t bother you and you’re all about mechanics and puzzles then you will enjoy this game. Everything runs smoothly, nice job. Dark Mode added. You can switch to dark mode in the main menu. Thank you everyone for your support, keep the reviews coming! 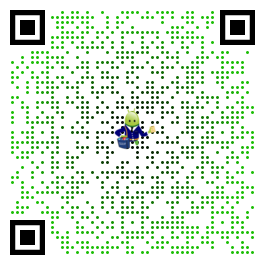 Follow us on social media to hear our new games and updates.